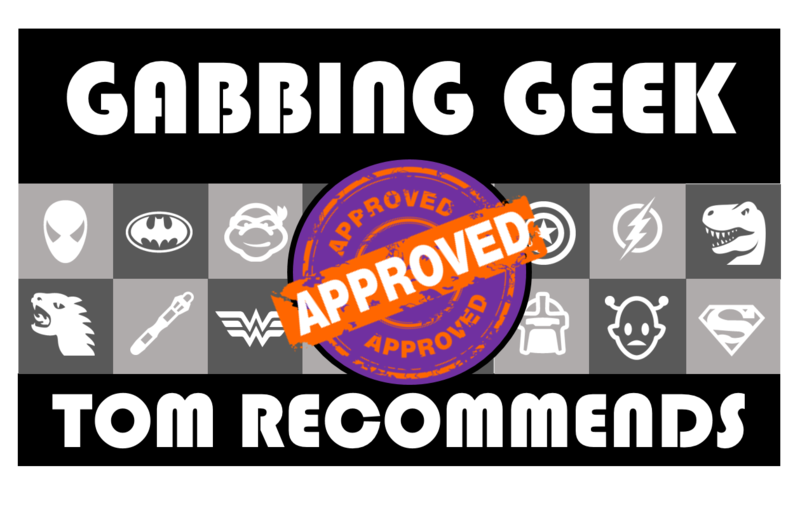 The deconstruction of the superhero genre is something that has been going on for a few decades now, and is often rather repetitive. Generally, it is an excuse to show classic or recognizable characters doing things that normally they wouldn’t, often of a more R-rated variety. That said, when the deconstruction is done right, such as in Watchmen, the work says something about the genre’s conventions and tropes in a way that can be highly entertaining for the reader, while also giving the reader a chance to think over the sorts of things that are taken for granted. But one of the best deconstructions out there doesn’t just cover superheroes, but pulp literature and genre storytelling in general. That would be the comics series Planetary, written by Warren Ellis and illustrated by John Cassaday. 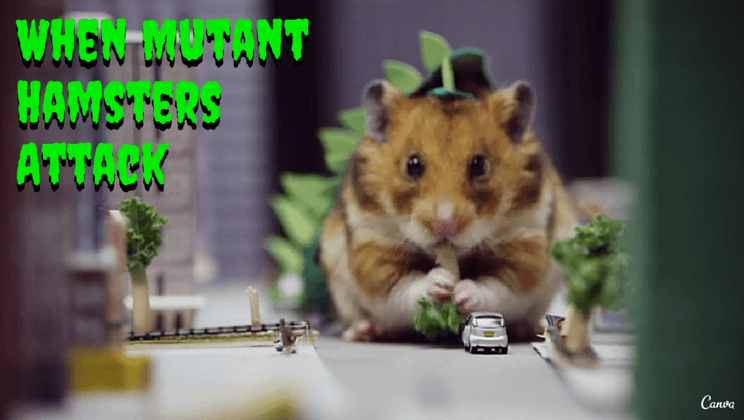 All New Level Of SQUEEEE When Mutant Hamsters Attack! Continue reading All New Level Of SQUEEEE When Mutant Hamsters Attack! 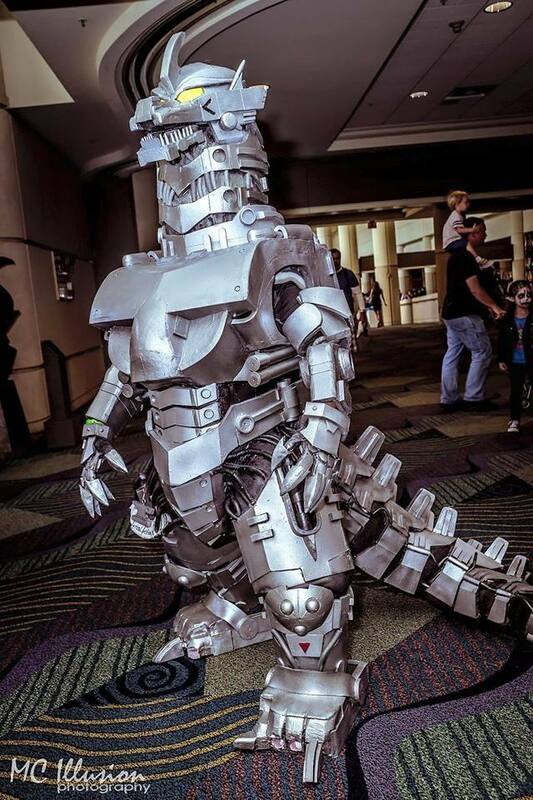 Posted on June 12, 2015 June 12, 2015 Author supergeekerellaCategories Freaky Friday, General Geekery, MashupsTags attack of the hamster, cute hamster, cute hamster scene, Godzilla, Hamster, hamster attack, hamster costume, hamster diorama, hamster video, hello denizen, HelloDenizen YouTube, larry, mutant, mutant hamsterLeave a comment on All New Level Of SQUEEEE When Mutant Hamsters Attack! It may seem strange to compare a disaster movie to a theory on robotics but San Andreas is an earthquake movie starring The Rock so comparisons to strong creatures with limited, if any, emotional range are purely coincidental. 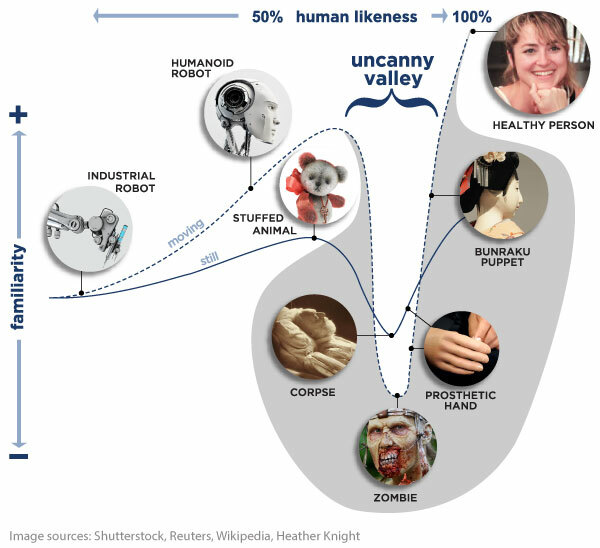 The Uncanny Valley is a theory, pictured above to the extent any theory can be, that says as robots become more and more human-like there is a moment where our emotional reaction to them dips before coming back up. To the left of the valley the robots are so unlike humans that we perceive them as curiosities. To the right of the valley the robots are close enough to humans that we can have positive emotional responses to them. But that moment when the robot is close to being a human without getting it right and instead it is just…creepy–that is the Uncanny Valley. And San Andreas is the Uncanny Valley of disaster movies. 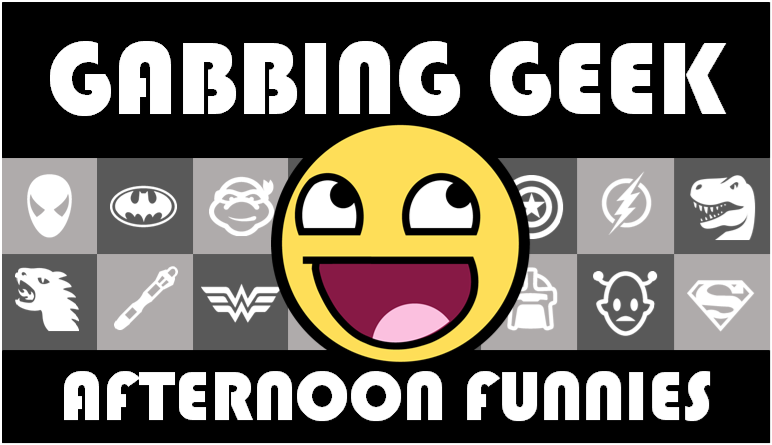 There’s a lot to discuss here and some of it involves spoilers, so you can read more after the break. WARNING: THE REST OF THE POST CONTAINS SAN ANDREAS SPOILERS, TO THE EXTENT THAT A DISASTER MOVIE REVIEW CAN ACTUALLY CONTAIN SPOILERS. 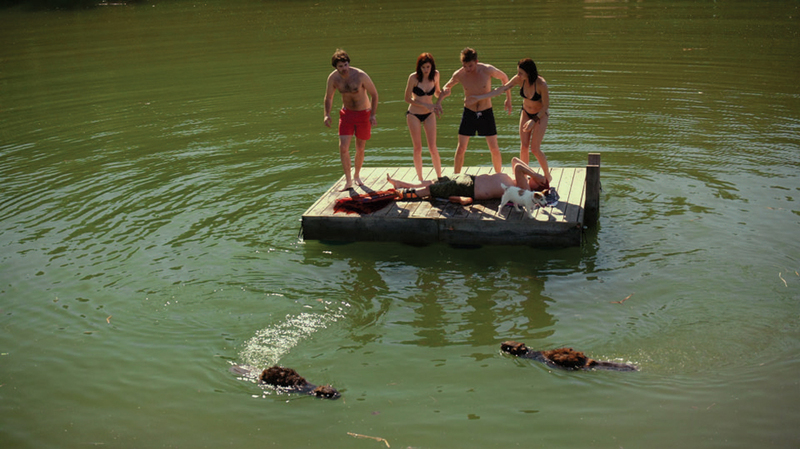 This image comes from a movie called “Zombeavers”. I am not making that up. If I know my horror movies, the dog and the woman who keeps her top on longest will be the survivors. I’m not generally one for horror movies. Horror novels I can generally deal with, but I was a rather nervous kid who was easily frightened by things that probably weren’t that scary to begin with as far as TV and the movies go, and as such I’ve never been much for scary movies. I was just discussing with Ryan that despite being due out next year, we had NO info on the first Star Wars standalone movie other than it was set to premiere December 2016 and was being directed by Gareth Edwards. But today we can say we know…well we KNOW nothing, but how about some rumors?